You can't go wrong with a classic gift of perfect Starbucks proportions! 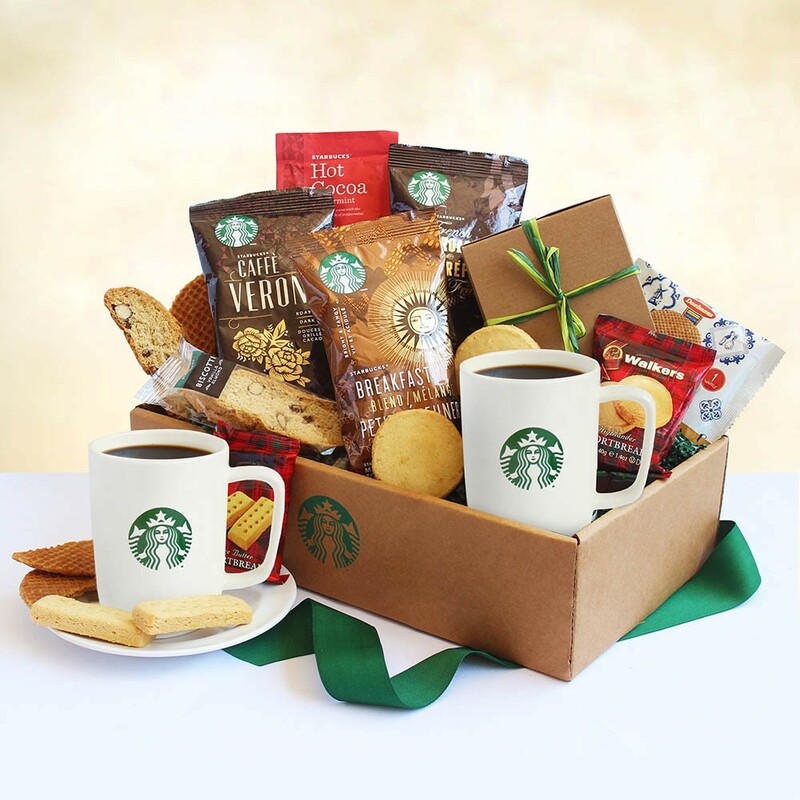 A natural kraft box adorned with the Starbucks logo holds two Starbucks ceramic mugs and an assortment of Starbucks coffees. This gift also includes hot cocoa, shortbread, biscotti, and caramel wafer. Classically Starbucks!